Feel more confident and less self-conscious during that next important social engagement. You can have your mole or skin tag | lesion removed with minimal scarring. Click here to see more videos with our Mole & Skin Lesion Removal Playlist! Dr. Philip Young is an award-winning beauty theorist and Double board certified facial plastic surgeon. Find out why people from around the world travel to see him here: Top Ten Reasons to choose Dr. Philip Young. Click here to read about Dr. Young’s groundbreaking Theory on Facial Beauty called the Circles of Prominence. Mole removal or skin lesion removal can be performed on any part of the body. Depending on their location, moles or skin lesions may go unnoticed, or they may become a nuisance or a dangerous health problem. Many skin cancers, including melanoma, begin in the shape of a mole. If you have a mole or skin lesion that seems atypical, changes in size and appearance, bleeds, is asymmetrical, is not uniform in color, or has ragged edges, it is important to have it examined by an experienced doctor for early diagnosis and treatment. You may also want to have normal moles or skin lesions removed if they rub against clothing or get in the way of shaving. 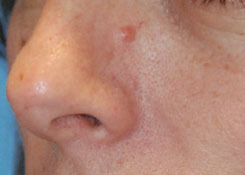 Prominent moles or skin lesions may also be removed to improve a person’s appearance. Many Bellevue | Seattle mole or skin lesion removal patients notice that this procedure leads to smoother, clearer skin, as well as reduces skin irritation. Excision of moles or skin lesions is the more complete way to remove them. Usually depending on the size of the mole or skin lesion, it should be removed with a fusiform pattern. 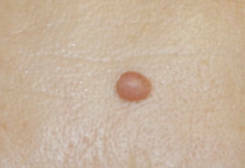 The length of this fusiform pattern is usually twice as long as the greatest dimension of the mole or skin lesion. If you don’t do a fusiform pattern of excision you will get bunching on the sides of the area after the closure. These areas of bunching are called “dog ears”, because they look like dog ears. Excision tends to remove the skin lesions completely and recurrence is less likely than with co2 laser removal. The drawbacks are the incision, sutures, and the subsequent scar that can heal with variable results that depend on the surgeon’s skill and how well the incision is cared for. Also the amount of tissue that is involved with the removal is significantly bigger in contrast to removal of these lesions with the co2 laser. You can see our videos below to get more of a visual presentation of what we are explaining here. Co2 Laser Skin Lesion | Mole Removal depends on the height and size of the mole | skin lesion. The higher themole | skin lesion is raised the deeper the mole goes into the skin. The deeper you have to go to remove the mole | skin lesion, the greater chance of scarring. Co2 removal essentially leaves an open wound that you will have to care for and this can be found on our laser resurfacing page. The benefit of using the laser is that you don’t need sutures, nor incisions, and the amount of tissue that is involved does not incorporate twice the length of the widest dimension of the mole | skin lesion. It usually involves only the mole | skin lesion and the area right around the mole. The negative includes the raw area possibly and the greater chance of recurrence. 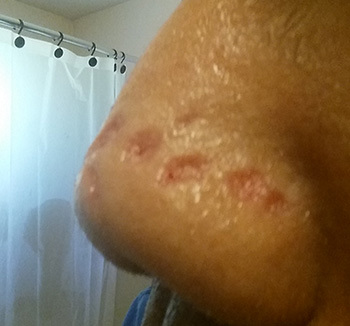 Deciding on cO2 Laser Mole Removal or Mole Removal through Excisions: What are our thoughts on deciding which procedure to choose. If the mole is small we are more likely to consider laser removal, when they are bigger excisional approaches are more preferred. The cut off is when the mole starts to get bigger than 4mm or the length of this underscored area __. When it is 4mm, when excisions are done we are able to place a deeper stitch to better control the healing and the resulting incisional scar’s appearance. When it is smaller than 4mm, it gets more difficult to place a deeper stitch and the control in the excisional process is less reliable. When the mole is smaller than 4mm we start thinking laser removal more. Dr. Young has over 7 years of experience in the treatment of Head and Neck Cancer and Oralmaxillofacial Trauma in a Level I trauma center at Los Angeles County General Hospital, and a Level II trauma center in Santa Rosa, California. 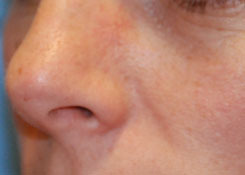 This included an extensive experience in skin cancer removal and reconstruction.